If you have ever read the history of the beginnings of the church, as written by the prophet Joseph Smith, recorded in the Pearl of Great Price, it is perfectly clear that either the story he tells is the glorious truth, or a fairy tale of what some might say is of a “biblical” proportion. Any other conclusion is not only unacceptable but unreasonable. From the beginning the story told by Joseph Smith has been under attack. The statement above, written by the hand of the prophet, in 1838, is his attempt to clarify his history and the founding of the restored church of Christ. If you read it, there is no ambiguity to its story. He testifies of seeing the Father and the Son, the visit of the angel Moroni, the translation of the Book of Mormon, and the visit of John the Baptist restoring the priesthood. In my opinion, any true follower of Jesus Christ should at least give audience to the thought that the story could be true. I mean, what does it hurt to study the “whole” story by reading the events surrounding its founding, including reading the Book of Mormon with real intent to discover its validity. What has any real believer of Christ have to lose? Yet, sadly, most scoff and scorn at the story while never opening the cover. A closed mind leads to a closed book. I have been amazed by the amount of inaccurate things that have been written about the “Mormons” as of late. The venom and half-truths is, to me, a bit astounding. I guess I shouldn’t be surprised by the ignorance of some public commentators regarding our religion, but I am. I have been taught a valuable lesson as of late, which is that ignorance knows no bounds. In reading such thoughts, I am brought back to the above quoted statement from the history of the prophet Joseph Smith. He felt “induced” to write it, due to all the untruths and half-truths that were circulating at the time. 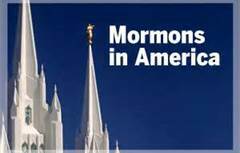 In watching our “Mormon Moment” unfold, as some call it, I am reminded to guard myself against drawing conclusions about other religions, faiths, races and cultures that I know little about. I am being re-taught that I need to be cautious and a bit more open-minded myself in how I evaluate others. I would hope that our “Mormon Moment” might lead to people being a bit more open-minded towards our beliefs. And I would hope that we have all learned that tolerance for another’s faith is a two-way street. I guess the most important thing I have learned from our “Mormon Moment” is that when that “Moment” comes for some other faith, I should be willing to be objective and kind in how I treat their respective beliefs. While I have full conviction that the Church of Jesus Christ of Latter Day Saints is the one and only true church of Christ, that shouldn’t diminish from the fact that others hold their faith dear to their hearts and many are attempting to make their way home as best they know how. « The Language Of ‘Dude’!